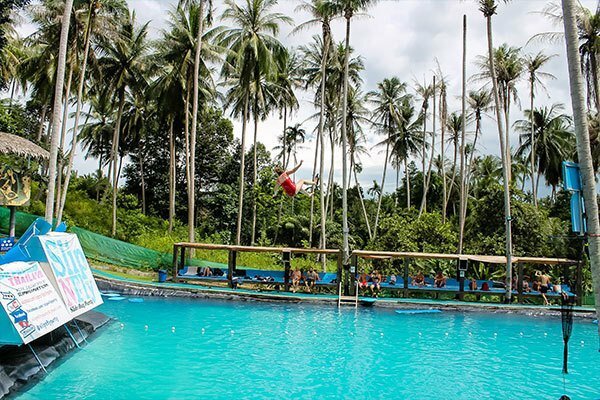 Calling all adrenaline junkies...the ‘Slip N Fly’ on Koh Phangan is one of the perfect things to do around Koh Phangan if you're looking get your heart racing! The ‘Daddy’ slide will launch you over 6 metres into the air and the ‘Mummy’ slide swoops you over 5 metres across the pool. The slides are safe and lifeguards will be on watch to make sure you are having a splashing time! The park not only has slides, but is accompanied by a DJ booth, restaurants & bars. The perfect place to unwind with an ice cold Chang beer after your epic leap. 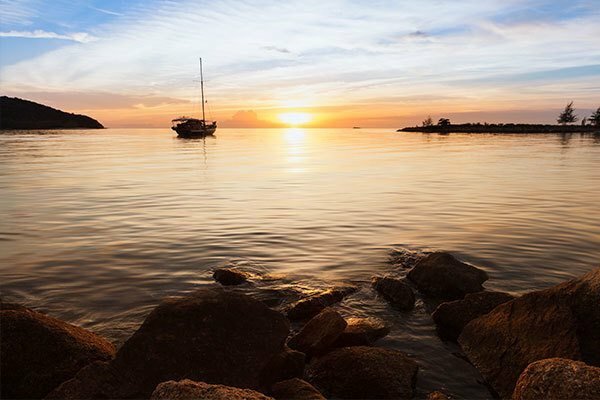 Only a couple of hours by sea from Koh Phangan, camping in this beautiful national park is another one of the top things to do around Koh Phangan. Use these remote islands as a base for snorkeling through the 42 pristine marine preservation areas surrounding them. Then, take a rewarding hike up to over 500 metres above sea level on Koh Wua Talab Island - more commonly referred to as Sleeping Cow island. Most will know the famous TV programme - Total Wipeout. 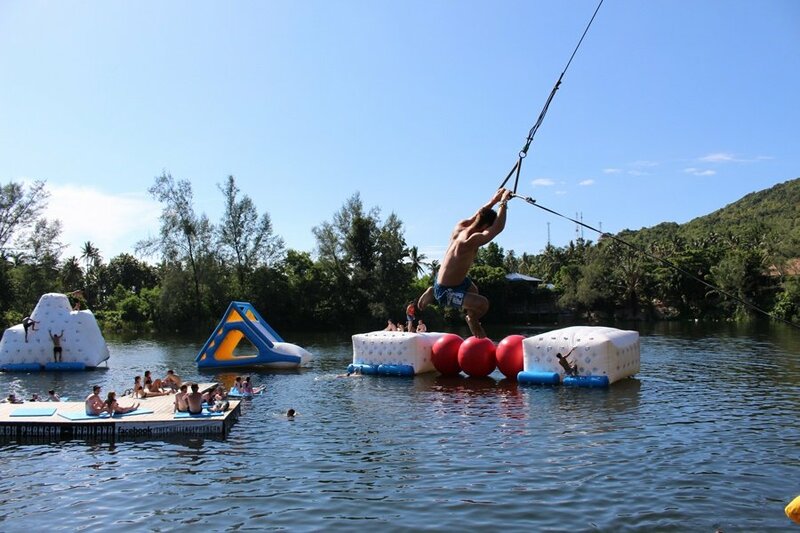 But get ready for Thailand’s very own ‘The Challenge Koh Phangan’. 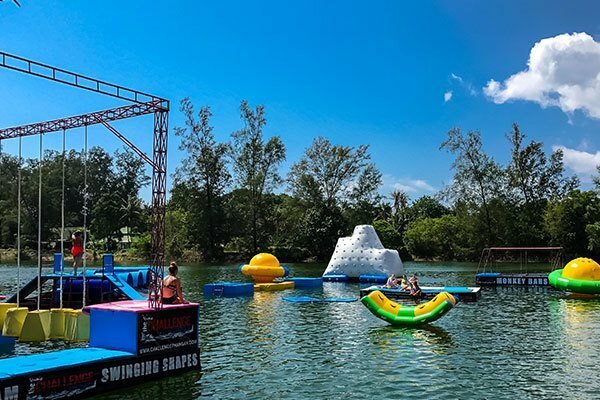 The legendary course sees you navigate a variety of obstacles from rope swings, to monkey bars and of course the famous big red balls. 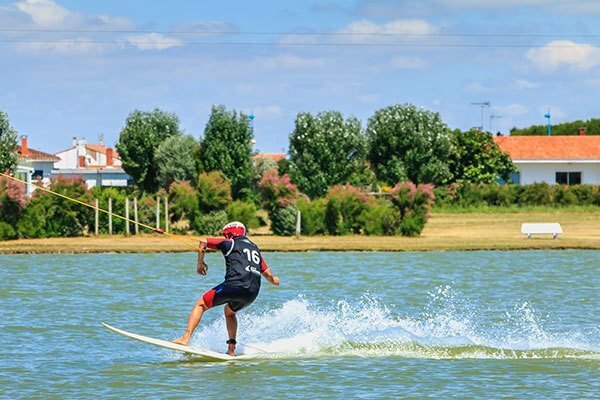 So give it your best and beat the clock to earn yourself a moment of fame on the Phangan Wipeout leader board. Once you complete the course you can make the most of happy hour - every day from 4pm-6pm - before heading back to the beach to watch the sunset. A collection of thatched roof bungalows just off the beach, Golden Rock is an isolated haven. Watch the sun go down over the expansive beach in this prime sunset spot. Once you've had a tipple at Golden Rock, clamber up steps on the side of a mountain to reach the infamous Amsterdam Bar - one of the most rewarding things to do around Koh Phangan. Sip cocktails while you enjoy the sun setting over the Gulf of Thailand. If you can't get enough of the chilled vibes, round off your bar crawl with a dip in Bluerama's infinity pool. Another national park gem, the Than Sadet waterfall is the best known waterfall in Koh Phangan. It's also one of the most majestic in Thailand, with royal King Rama V leaving an inscription on the rocks back in the 19th century. So don't let the rainy season put you off as you will get to see stunning beauties like this waterfall. 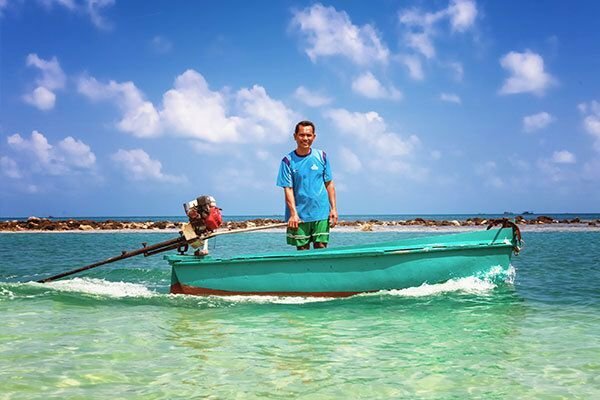 If you are looking to go on an adventure into the island island, visiting Than Sadet is definite must! 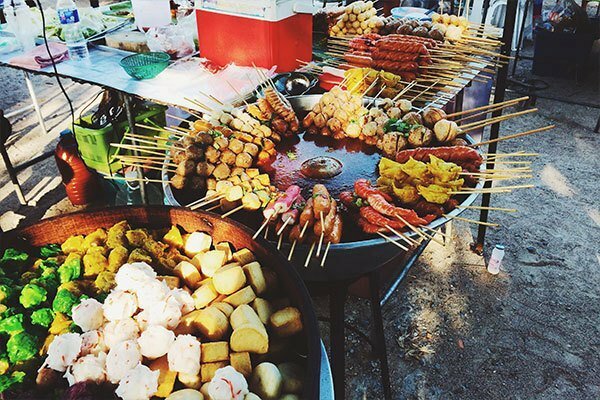 If you are a foodie and especially a big lover of Thai food, the Thong Sala Night market is the place for you. Smack bang in the middle of the island, tucked up next to a large 7 Eleven. The market may look run down, but we assure it will not disappoint your taste buds. For just 50 baht you can get yourself a meaty or veggie curry or a perfect Pad Thai. The BBQ’s also give off an array of delicacies, from whole squid to skewered sweet chilli chicken. Held every Saturday and Tuesday, Eden Bar is the Half Moon party's psychedelic little sister. Located on Haad Yuan beach, this overnight rave is a chilled, intimate affair that brings together ex-pats and backpackers alike. Make the most of the cheap n cheerful drinks and enjoy dancing the night away. And of course, there is always the epic Full Moon Party. The majority of our Thailand tours end in Koh Phangan, so these suggestions are a great way to round off your time in a beautiful part of the world! 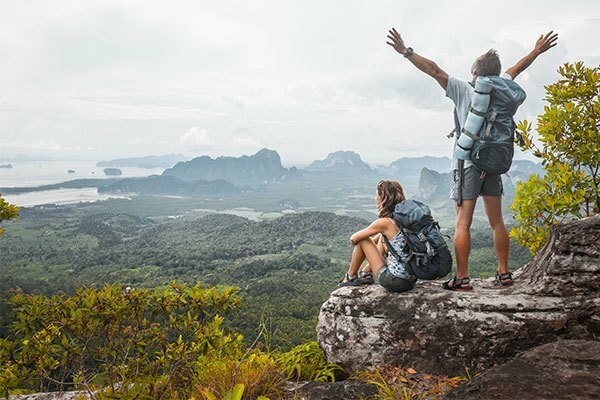 For further travel tips check out our Facebook and come and have a chat with the TruCrew on info@trutravels.com to plan your epic adventure today!